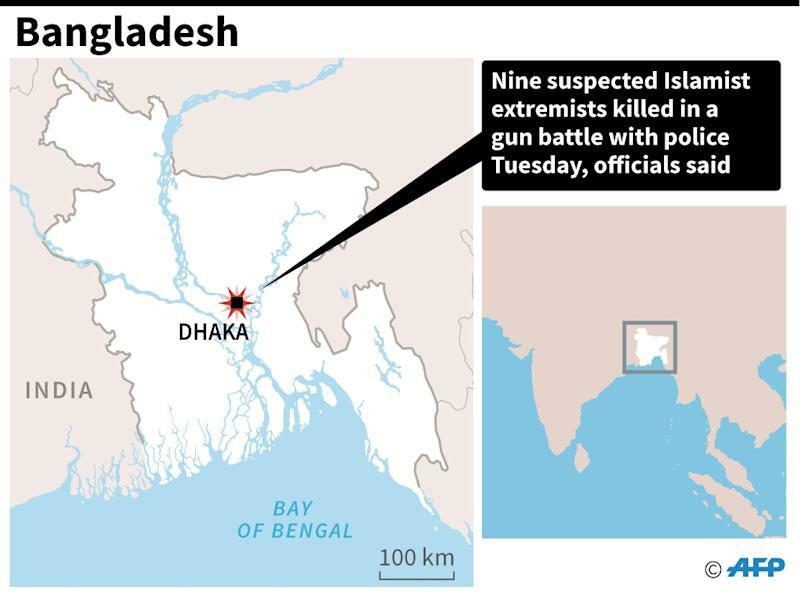 Bangladeshi police killed nine suspected Islamist extremists in a gun-battle Tuesday after storming a hideout where they said a new mass attack was being planned. Police said they belonged to a Bangladeshi group blamed for an attack on a Dhaka cafe earlier this month in which 20 hostages, mostly foreigners, were killed and had been planning another large-scale assault. 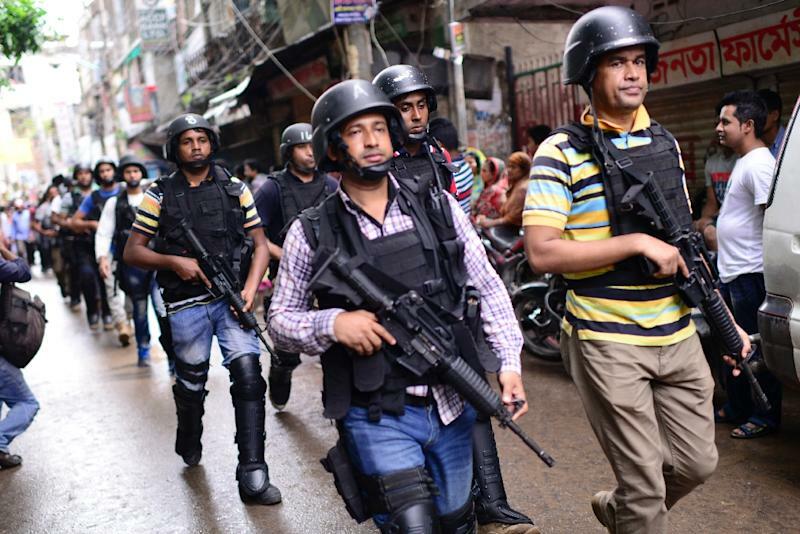 "Nine Islamist militants were killed after a two hour-long gunfight," deputy commissioner of Dhaka Metropolitan Police (DMP) Masud Ahmed told AFP, adding another extremist was shot and arrested during the raid in the capital's Kalyanpur neighbourhood. National police chief A.K.M Shahidul Hoque told reporters they suspected all 10 were members of the homegrown extremist group Jamayetul Mujahideen Bangladesh (JMB), which was blamed for the Dhaka cafe attack. Five gunmen stormed the Holey Artisan Bakery in the upscale Gulshan neighbourhood on July 1 and killed two policemen and 20 hostages, including nine Italians and seven Japanese nationals, before commandos ended the siege. Islamic State (IS) group claimed responsibility for the attack and posted gruesome images of the carnage before the military stormed the cafe. Bangladeshi authorities have rejected the claim, saying international jihadist networks have no presence in the world's third-largest Muslim majority nation. But a police official said the wounded survivor who was rushed to Dhaka Medical College Hospital after Tuesday's raid claimed that all of those inside the hideout were IS followers. "His name is Hasan. He said they are IS members," the police official told AFP on condition of anonymity, adding the 25-year-old was a cook and hailed from the northern district of Bogra, home to two of the five cafe attackers. But Hoque stressed that the nine killed in Tuesday's operation had no connection with Islamic State jihadists even though they were wearing the group's signature black robes and turbans. "We think they are all JMB members... We have not found any link with IS. They are all local Bangladeshi militants," he said. Hoque added that they had rented a fourth-floor flat and were planning to launch a large-scale attack. "From police intelligence sources we learnt that they were planning to carry out a major incident. We conducted the operation to foil any such incident," he said. Police said they cordoned off an apartment building after suspects threw a small hand bomb at officers who were conducting a "block raid" in the area after midnight. The Islamist gunmen exchanged fire intermittently throughout the night and shouted "Allahu Akbar" ("God is the Greatest") as the neighbourhood was sealed off by hundreds of heavily armed police and the elite security force Rapid Action Battalion. "This morning police launched Operation Storm 26 and was able to destroy the militants. We're now sweeping the place," Dhaka additional police commissioner Sheikh Maruf Hasan, who led the raid, told AFP. "Their dress and their slogans before and after the attack all proved that they are members of an (Islamist) militant force." Police said they have arrested the son and wife of the landlord who rented out the flat in the Kalyanpur neighbourhood to the suspected JMB extremists. 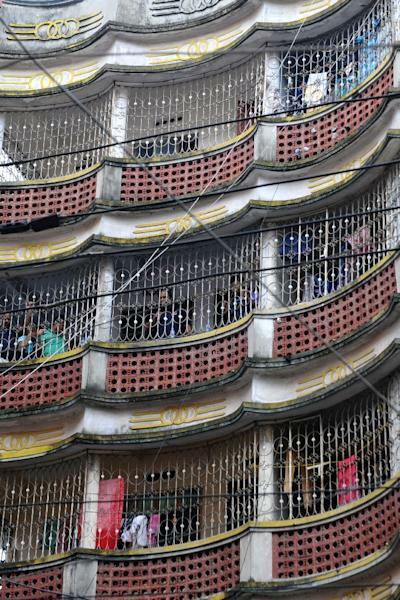 And in a separate raid, police arrested two suspected Islamist extremists in Dhaka's Sabujbagh neighbourhood, local police chief Quddus Fakir told AFP. "We've recovered explosives and jihadi books from their hideout," he said. Bangladesh is reeling from a wave of deadly Islamist attacks. After the cafe siege, suspected Islamist militants also launched a gun attack at the country's largest Eid prayer rally where around 250,000 people were marking the end of Ramadan. At least three people and a gunman were killed in the attack. The government of Prime Minister Sheikh Hasina has since launched a nationwide man-hunt for Islamists, arresting more than a dozen suspected extremists including one of JMB's regional heads.